Have you visited Joe and the Juice? 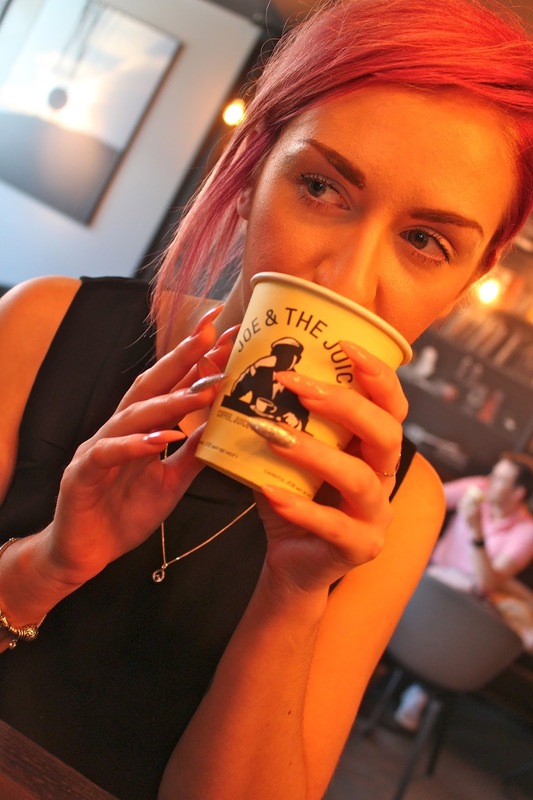 During our weekend away to Liverpool we visited the new Joe & The Juice Liverpool located within John Lewis. Being based in London I always see Joe & The Juice cafes around but I’d never ventured inside. I loved the decor and vibe of the Liverpool branch, this is the same style throughout all of the branches. The atmosphere is lively but chilled out with music playing and happy, cheery staff making your drinks and sandwiches. The cafes originate from Copenhagen and you can tell this through the Scandi style decor. It is simple but smart and stylish with matte black walls and black and white photographs with a burst with energy through the lively music and staff. You may even get to see some of their drink making and shaking skills, as seen on their website here. It is all very trendy. To drink we went for the Hell of a Nerve juice (left) which is a blend of strawberry, elderflower and banana as well as a Sports Juice, a mix of pineapple, passion fruit and apple. We also tried the Tunacado sandwich (Tuna, avocado, pesto and tomato) as well as the Serrano (Serrano ham, mozzarella, avocado, tomato and pesto). Everything is prepared fresh in house and it was all so delicious. I don’t usually drink coffee but I decided to try a Latte and I was so surprised at how much I enjoyed it!! It was frothy with just the right amount of sweetness, I normally have to add sugar but I didn’t need to with this. It was perfect. Joe and The Juice Liverpool prides themselves on making their customers smile. Whether that is through their products, the cheery music throughout the cafe or the customer service, that is their whole purpose for their customers – as well as creating a good cuppa joe! It’s the little things they do to make their customers happy, it can be as simple as latte art (as seen below) or the ‘Warning JOE may be HOT’ text on the coffee cups. Regular customers can purchase Joe & The Juice cards which they purchase drinks and sandwiches in advance. For example you can pay £19 for 10 coffees. This works out cheaper buying the coffees in advance. The saving is over £10 as one large coffee would normally cost £2.95. 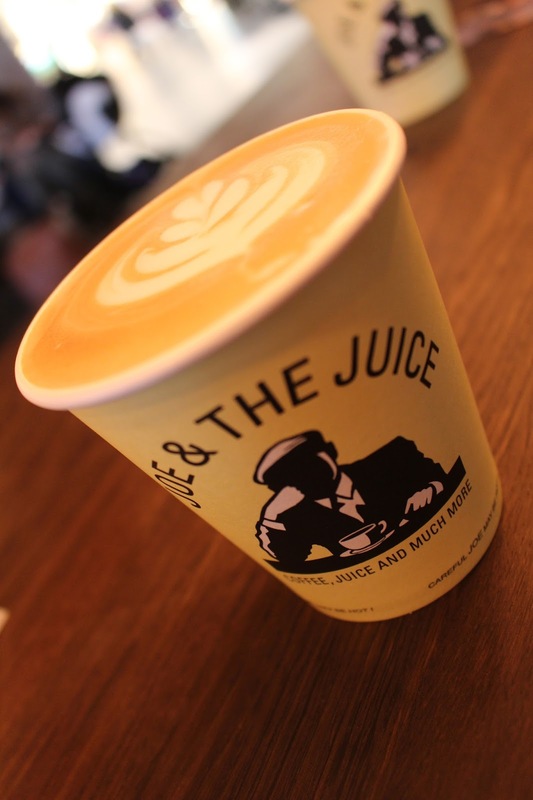 Joe & The Juice is expanding quickly with shops popping up all over the UK and worldwide. Find your nearest one here.